Rainy days inspire me a lot. They allow me to let myself loose in the kitchen and let my imagination do its thing. Here in South Florida we have no seasons, which is a pity as Fall is the best season of the year. So with no Fall to be seen outside, I decided to bring Fall into the house. There is a Pumpkin Spice candle burning in the living room, Apple Cinnamon fresheners in the bathrooms and some Maple Bacon cookies baking in the oven. Yep, we have no fall, but it for sure smells like fall in our house! 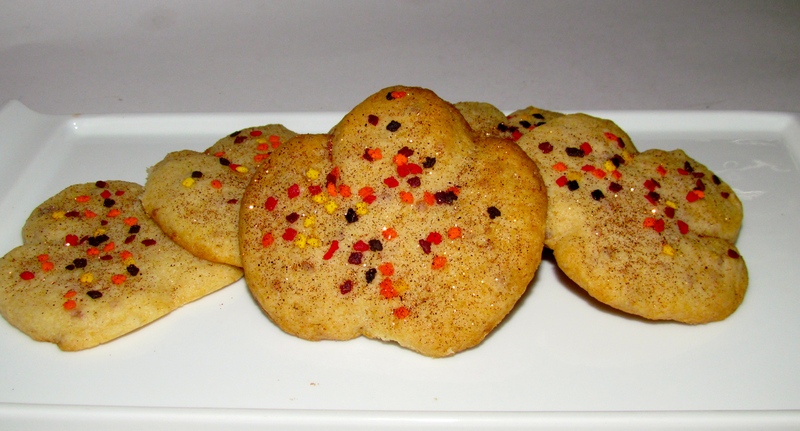 Now its time for my Pumpkin Latte…..
Get your standard sugar cookie recipe, add some maple flavoring and some nice crunchy bacon chopped really small for a delicious and different kind of treat.